Wow, it’s already time for the February wrap-up. 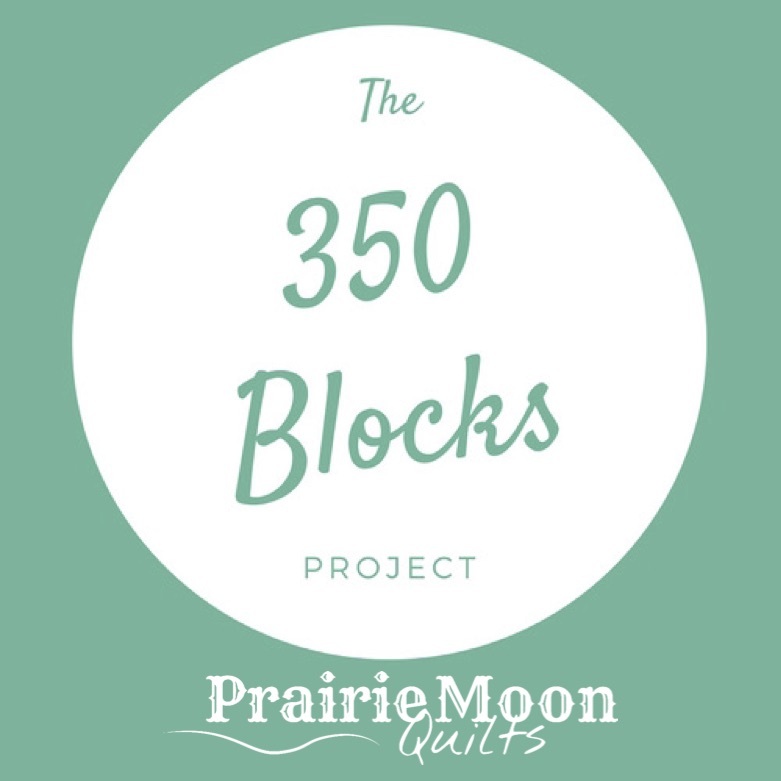 Let’s see how far I got toward the year’s goal of 350 Blocks. I know February is a short month, but whew! It really flew by! I have sewn a lot this month, but didn’t have nearly the finishes I was hoping for. One thing I’ve been working on is new class samples. Yes, I already have samples, and yes, I still needed new ones. Work with me here, ok? It was an excuse to buy new fabric. The month’s goal was 30 blocks and I can gladly say that, once again, I knocked those blocks out quickly. My total for the month was 124 blocks and a gazillion block parts. I am planning to get those blocks done for March, so it should be another good month, numbers-wise. One of the patterns I’m working on for my Big Blocks workshop has 77 pieces per block. I would very much like to count all those parts as individual sub-units, but it just didn’t seem right. These are Goose in the Pond blocks and the individual parts are pretty easy, some are just plain squares. I used a set of vintage blocks as reference because they are huge (you’ll have to go read the class description if that last bit doesn’t make sense), measuring roughly 17″ square (ish). They have teeeeeny little hand-pieced seams. Well. I resized the block to 15″ (still plenty big, yes? ), and skipped the hand-piecing. When I make it again, maybe I’ll have a go at bigger blocks just to see if I like that better. What happens when you don’t measure twice. Oops. Obviously, they aren’t yet sewn together, just stuck up on my wall, and not all that securely at that, but you get the idea, right? I have enough pieces for twelve blocks made now, and got one block actually sewn together yesterday. Will put up more pics when I’m further along. I had not made this pattern before (that I remember, anyway), but it’s actually very easy. I’m thinking I’d like to explore some other things I could do with it…in my spare time! I think I’d like to know where you’re going to find spare time, and I think all those different pinks together are great! Spare time is a myth, I think, Shelly, as you well know! But I can dream, can’t I? Great remake of a block with a lot of pieces (almost 80?) – wow! Thanks! I was so surprised that it has that many pieces. Who knew? Who knew, Bill? It’s a simple block but there’s a lot to it! I’m into counting pieces lately… 🙂 I like facts, LOL! As in, “Just the facts, ma’am?” Facts are safe!